Welcome to my football programme website. It is fairly simple to find what you want! You can search by your club, in the search box as well as by type, such as FA Cup, Non-League, Internationals etc. When searching by club I have tried to link in popular names as well as actual names. In that you can search by Tottenham Hotspur as well as Spurs; Wolverhampton Wanderers as well as Wolves. I have not raised postage prices, and do not have any intention to either, I can often reduce what you are charged by sending 2nd class, and will always refund any over charge on P&P via pay-pal. 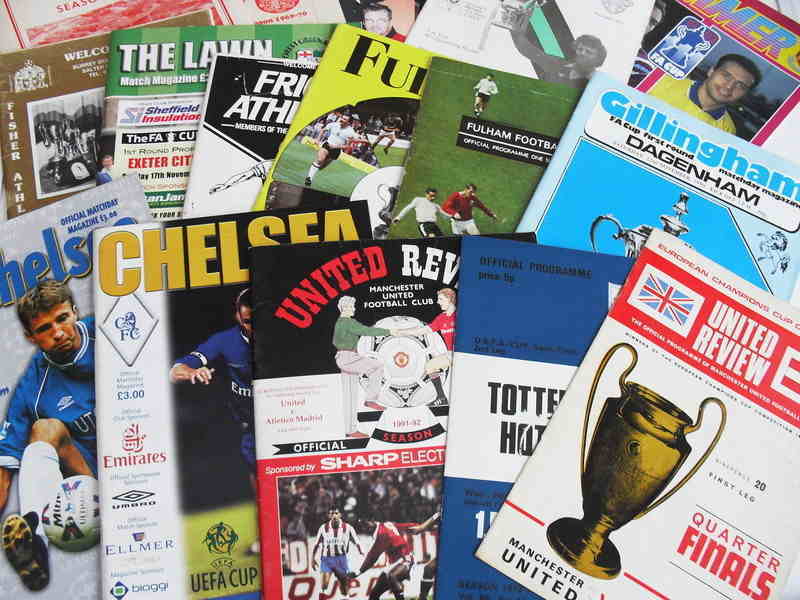 If you buy several programmes then please wait for me to compute the postage price as parcel post or over night may well be cheaper than 1st or 2nd class! Buyers from abroad, I have to price postage per item, but any excess postage and packing will be re-paid once the items have been sent.